Fall arrives today. In the northern hemisphere, which happens to be where I live, it is the culmination of the year, the harvest time, the time to celebrate bounty with friends and family and thank the Powers for their blessings. It is my favorite time of the year - cool nights and warmer days, the colors of the foliage, and the variety of fruits and vegetables. And some of the best holidays take place in the autumn - Halloween and Thanksgiving. I am very lucky with where I live. Although I don't like the snows and cold of winter, I get the incredible beauty and colors of autumn. Many years we have hillsides of mingled gold and russet tones, it's nature's time to paint with a vivid palette and I love the colors. Where I was growing up in Colorado we would get fields of golden Aspen trees carpeting the mountainsides and valleys. Not as colorful as the reds that I get from the maples and sycamores of Minnesota, but equally stunning. The crisp air of fall mornings are both a promise and a warning. They promise and warn that winter is on its way. Winter traditionally is the season to sit back and relax a bit. But late winter and spring are the season of need when food supplies run short and hunger stalks everyone's footsteps. So celebrate the bounty of the fall. Lay the tables full with the harvest - the honey from the hives, the gourds from the garden. Pluck the last of the tomatoes, gather the last of the roses and other flowers. Cook the goose brought down from the sky with thanks, and later in the year, roast the turkey and join in prayers with your family. It's autumn, it's your opportunity to celebrate the events - good and bad - that happened over the past year. 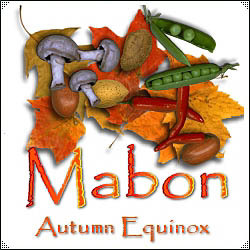 Good Mabon to All. I love autumn too. We have some lovely colours where I live and I enjoy taking photos. I think it significant the Jewish new year is in September as autumn can be seen as a beginning/ rebirth as well as an ending. I must admit that I always look at Spring as the beginning of my year, not Fall. I see Fall as the half-way point, maybe more like two-thirds of the way through the year. But I understand starting the year with the fall also because it is a time of change. I shall certainly post photos if I get any good ones. Most of the leaves aren't turning yet but the autumn berries are abundant. 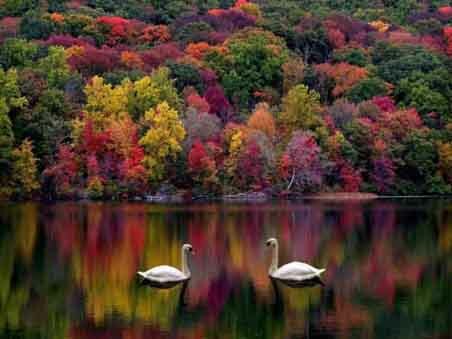 What a GORGEOUS photo of the trees, lake, and swans! Wow. 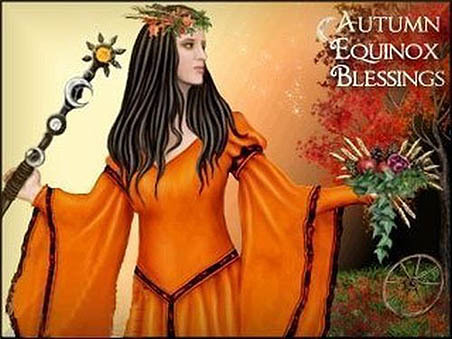 Good Mabon to you, my friend. That makes sense, it is early spring for you. Up here it would be late March which means we will still have snow on the ground and we won't see leaves on the trees for another month. Jackets and long sleeved shirts are a must in our early spring. But you'll be going into summer whereas I'll be going into winter *le sigh* - LOL. I'll be visiting USA next year anyway. During your winter, I think. Wonderful! You had such a good time visiting last year. I hope you have an equally enjoyable trip this time. I am also happy with my location. Ok, I sometimes complain about summer heat, but there are places where it's even hotter, so I guess I should better shut up. And our winters are not too cold. As many things as Minnesota doesn't have (like a temperate climate), I still do enjoy living up here because it's a beautiful state. Autumn is the best. Here in Sacramento, it doesn't really happen till around November, when we then get an approximation of it with a limited but still lovely supply of colorful deciduous trees. Yeah it's like Hell Lite (relative to Real Hell, a.k.a. Phoenix) for about May-August. We do get a brief autumn and then a gross, sodden winter. Yeah it's like Hell Lite (relative to Real Hell, a.k.a. Phoenix) for about May-August. Yes, I remember Phoenix. I was always grateful to go down to Tucson for the February gem show because it was so much warmer and nicer than Minnesota. I'd be wandering in shirt sleeves while others were bundled up in down because my warm 60 degrees was their cold 60 degrees. It's rather amazing what conditions the human body :-) I'm not a big fan of extreme heat, though. You paint such a lovely picture of it. I wish I had memories of such a fantasy, but it's not lovely. Never was. We could use a really really good rain right now; dirt an dust everywhere. And I really don't even want to face "thanksgiving", the white man's fake holiday. pretty swans. Do love the colours. Memories are what you make of them. Even the bad ones. I won't block you, as long as you are respectful you are entitled to express your opinion on my blog anytime. I don't have to agree with you and you don't have to agree with me - at least not in all aspects. It shouldn't hurt the basic commonalities and friendship that we have been developing.